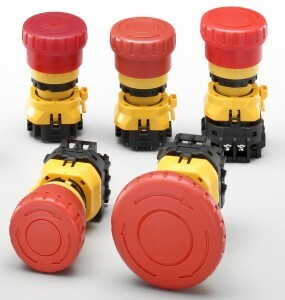 Where ever there is interaction between humans & machines, ensuring the safety of operators and machines is given the top priority. 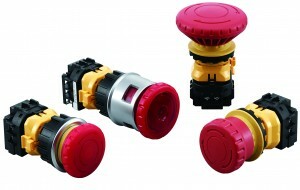 Door interlock switches, emergency stop switches, light curtains, , laser scanners and other safe inputs or safe sensing products are used for detection, and the safety controller can monitor multiple devices, process the signals and provide the logic to assure that a safe machine environment is established as set by the requirements of the machine designer. 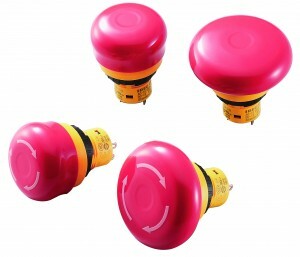 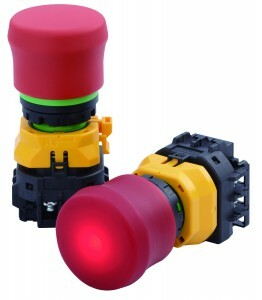 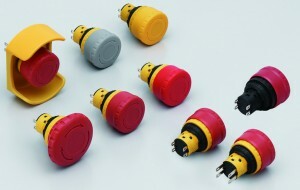 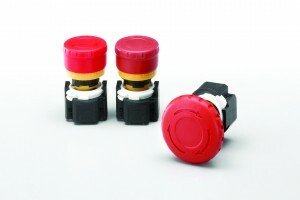 World’s first 16 mm, 4-contact Emergency Stop Switch.